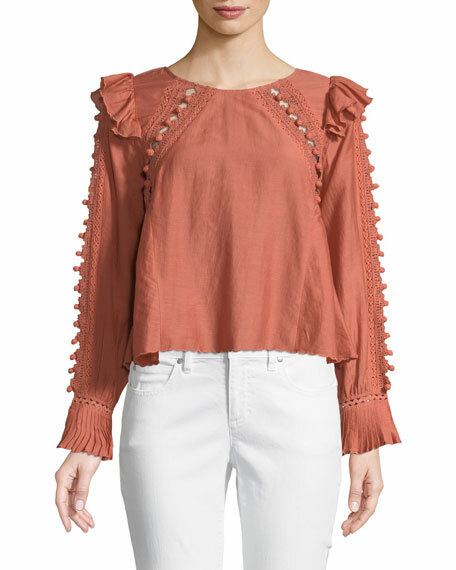 Sea "Esther" blouse with crochet and pompom trim. Round neckline; tasseled self-tie back. For in-store inquiries, use sku #2456738. 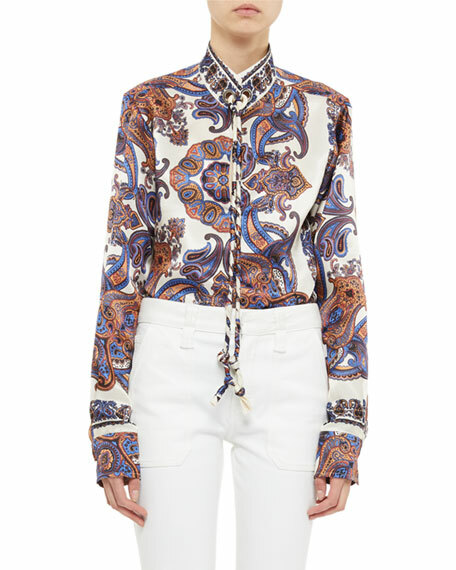 Chloe blouse in paisley print charmeuse. Mock neckline; grommet detail with ties. Mother of pearl buttons. Yoked, pleated back. Long sleeves. Relaxed fit. Viscose. Imported. 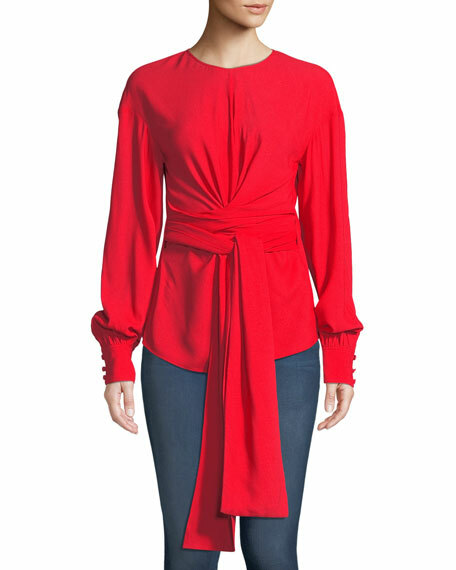 Diane von Furstenberg blouse in lightweight stretch crepe. Crew neckline. Long sleeves; button cuffs. Wrapped self-tie sash. Slim silhouette. Keyhole back. Slipover style. Viscose/spandex. Imported. 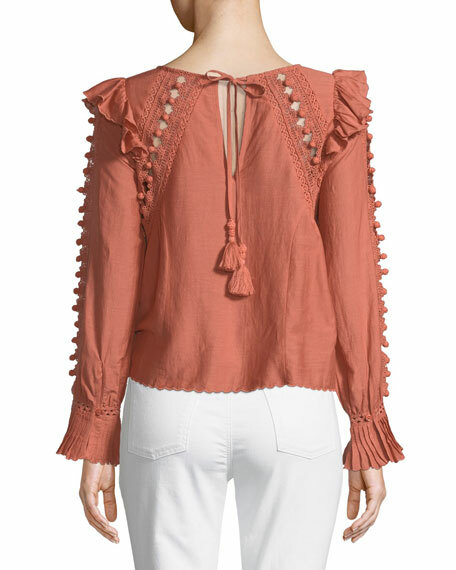 Fendi silk blouse with heart eyelet embroidery. High, scalloped neckline. Long sleeves; button cuffs. Easy silhouette. Keyhole back. Slipover style. Combo, viscose. Made in Italy. 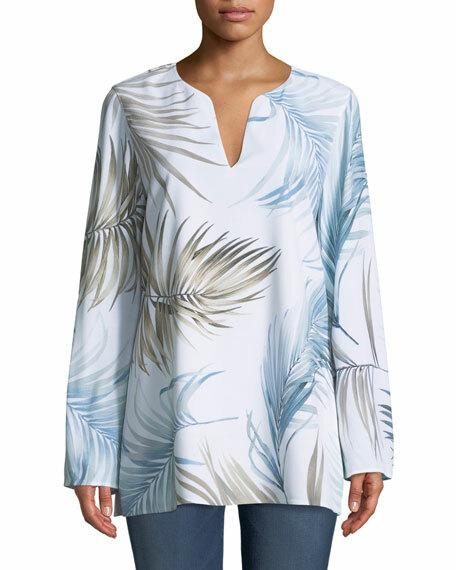 Lafayette 148 New York "Wilmer" drape cloth blouse with posh palm print. V neckline. Long sleeves. Relaxed silhouette. Below-hip length. Straight hem; tall side slits. Pullover styling. Viscose. Imported.